All skincare treatments are tailored to meet your individualized concerns and skincare needs to help you achieve radiant healthy skin. Classic deep cleansing treatment. 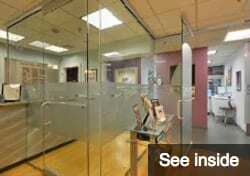 Includes appropriate enzyme exfoliation, steam infusion, extractions, and a lifting facial massage. Suitable mask that nourishes and rejuvenates the skin. 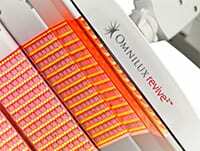 Tailored to accommodate the unique sensitivity of a reactive skin type (Rosacea-like redness). This facial involves no steam or extractions, allowing sensitive skin to benefit from the application of two deeply calming facial masks. Formulas feature unparalleled antioxidant and anti-inflammatory benefits to cool skin on contact, instantly alleviate redness, and restore hydration, leaving your skin looking and feeling calm. Treatment of choice for teens that are experiencing challenges with their skin. Includes deep cleansing, introduction to preventative skincare, and education for homecare and maintenance. This professional strength acne treatment is scientifically formulated to improve skin clarity and reduce acne blemishes while soothing redness. This facial combines exfoliating natural fruit enzymes, antioxidants, and hydrating agents to open clogged pores for deep cleansing and extraction. From severe acne to occasional hormonal breakouts, the Acne Therapeutic Facial delivers results for teens and adults. Also available for breakouts on the back and décolleté. Indulge yourself with a deep cleansing, yet relaxing treatment for a delicate area that is just out of reach. A therapeutic, deep cleansing facial designed to address the special skin care needs of men. Includes extractions, heated hand treatment,face and neck massage. A highly effective method of exfoliations and temporary hair removal, while simultaneously removing any accumulation of dead skin cells and facial hair quickly and gently. This treatment leave the skin smooth, supple, and vibrant immediately. This treatment also enhances the results of facials, chemical peels and laser treatments. Microdermabrasion uses pure, fine mineral crystals to gently resurface the skin, reduce pore size, and stimulate cell renewal and collagen production. The benefits of this treatment may include improved skin tone, even skin color, reduction of fine lines, softening of deep wrinkles, and renewed elasticity. Chemical peels will smooth rough, dry, and sun damaged skin, brighten, freshen, re-texturize your complexion as well as reduce fine lines and age spots on décolleté and hands. Chemical peels are recommended for anyone who would like to restore their skin or simply looking to refresh it. A medium-strength peel consisting of multiple peeling agents and a DNA repair topical treatment. Lactic acid, salicylic acid and resorcinol help diminish the signs wrinkles, lightens the appearance of hyper-pigmentation, and control acne-prone skin. DNA total repair helps speeds the recovery of visible signs of past photo damage. A highly effective peel that combats the effects of photo damage and environmental assaults to the skin. This peel is recommended for those with advanced photo damaged skin. Retinoic acid is added to this peel to help intensify its results. ANTI-AGING professional treatment.Provides a sublime solution for reducing fine lines and wrinkles in all skin types. Glycolic acid exfoliates dead skin cells while a unique blend of antioxidants, anti-inflammatory,and hydrators soothe and revitalize to reveal a softer, smoother complexion. When performed in a series, we will safely and gradually increase the percentage of glycolic acid with each treatment. This will accelerate cell turnover and encourage healthy skin, unveiling an ever-greater improvement in skin’s texture, tone and youthfulness with each treatment. A step above the standard – it includes treatment of the face, décolleté, and hands. This deluxe therapy includes oriental acupressure lifting massage, mask, and cellular repair ampoule. 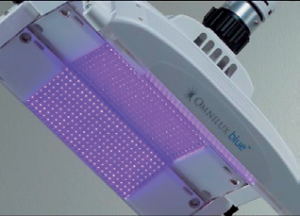 Omnilux Light treatments rejuvenate the skin by stimulating intracellular energy in cells involved in the repair of skin, enhance cell vitality and collagen production. These treatments can be used to enhance the effects of other skincare treatments, such as chemical peels, laser treatment and facials, by speeding up the regeneration of your skin. This therapy delivers a natural method of light-only skin rejuvenation. It stimulates body’s own natural process to help counteract the effects aging, unlike some anti-aging treatment that work as a result of the body’s response to damage. This therapy utilizes infrared light, opposing to UV light, to rejuvenate, energize and repair damaged skin as it naturally boosts your body’s own production of collagen. This treatment is clinically proven to stimulate fibroblasts, which enhance collagen production and cellular turnover rate, resulting in healthy skin. This therapy effectively treats mile to moderate inflammatory acne in adolescents and adult acne. This natural, safe and painless light treatment initiates destruction of bacteria causing acne. One of the most popular aesthetic treatments with patients. This process uses infrared light treatment to treat the skin laxity of the face, neck and jowls, abdomen and other body areas by heating the dermis below the skin surface, promoting collagen contraction and tightening. This results in visibly tighter looking skin.Titan can be used on all skin types to reduce fine lines and wrinkles, soften frown lines, and tighten loose and sagging skin. Laser Genesis is an innovative, technologically advanced way to promote vibrant and healthy looking skin in men and women. This unique laser procedure is ideal for reducing fine lines, uneven texture, large pores and generalized redness. Laser Genesis improves wrinkles by gently heating the dermis, stimulating collagen growth and has been proven to promote the formation of new healthy collagen. It is not only a safe by comfortable treatment. Now you can have a more youthful appearance by treating those conditions that are typically associated with premature signs of aging and sun damage, such as excessive redness, rosacea, large pores, uneven texture, and fine line wrinkles. Step into our limelight to even out red or mottled complexions. Limelight improves skin tone and surface imperfections associated with aging and photo-damage. Not only, does the limelight treatment fade or eliminate brown spots from aging and sun spots but it also treats tiny vessels. Pulses of light are used to target the melanin in the hair follicle without affecting the surrounding skin. This makes this treatment both safe and effective for all skin types. This is the first laser cleared in permanent hair reduction and is endorsed by physicians worldwide. The CoolGlide laser is extremely effective for all skin types and tones – light, tanned, or dark – and can remove hair from all body parts including the face, legs, arms, underarms, bikini, chest, and back. Pure mineral cosmetics capture light diffusing quality of minerals. Sensitivity tested. SPF 20. Voted “Best Mineral Makeup” by professionals and consumers. Recommended by dermatologists and plastic surgeons.